We have a musical friend called Lonesome Ron. He is the kind of fella that is always there if needed. The kind of friend that we don’t often see, and when we do, he is just all Ron once again. He remembers every-ones birthday (even my daughter’s!) and sends a musical greeting of his own device. He is kind, tall, and good. We very much like Ron! Ron is talented, he yodels, he sings cowboy songs, jazz, rock. he plays a bass, a guitar, a mandolin, and more than likely many more instruments. 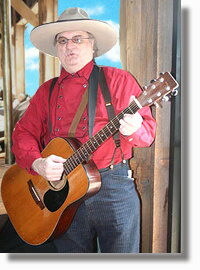 Well all, Our Lonesome Ron has released his first CD and his having a release party this weekend. I wish we could go, but we are at a family event that night. But y’all if you are in the Mankato area on March 28th, stop in, your time will be well spent!!! Previous postWe can feel Summer in our bones!